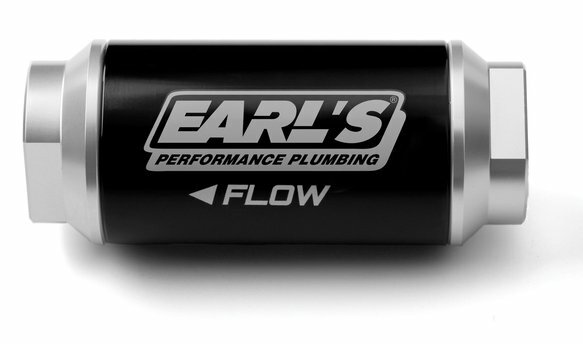 Earl's new billet in-line fuel filters are precision CNC machined from 6061-T6 billet aluminum for strength and durability. The body is black class 2 brite dip anodized and the end caps are class 2 clear anodized for corrosion resistance and a clean, modern look. Earl's billet fuel filters are available in 10, 40 &100 micron ratings and in 100 & 175 GPH flow ratings. Replacement elements are available.